Found 5 file extension associations related to 3D Movie Maker and 5 file formats developed specifically for use with 3D Movie Maker. 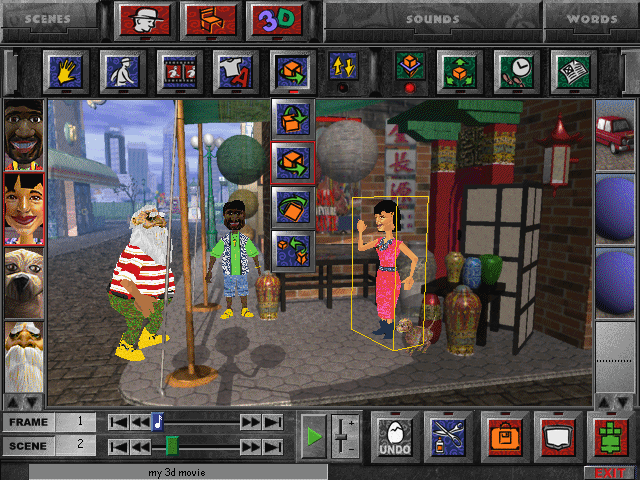 3D Movie Maker is a program created by Microsoft's "Microsoft Kids" subsidiary in 1995. Using this program, directors are able to place 3D characters in pre-made environments, add actions, sound effects, music, text, speech, and special effects then show these movies off to friends, family, and the world. The 3D Movie Maker software seems to be old or discontinued. If you need more information please contact the developers of 3D Movie Maker (Microsoft Corporation), or check out their product website.